If this scene reminds you of something out of The Jetsons, you’re not wrong, even if hovercraft cars aren’t exactly the norm yet. Alexa has the capacity to revolutionize your life—or at the very least, streamline it. Alexa is Amazon’s digital assistant. Alexa is a lot like Apple’s Siri, but instead of existing within your phone or computer, Alexa lives in Amazon’s Echo or Echo Dot. Alexa has a plethora of skills—meaning Alexa has an ability to do something, much like the talents or capabilities that you or I have. Alexa can then use these skills to put an important date on your calendar, call a taxi, play music, or even beatbox to you. Pretty nifty, huh? It’s only a matter of what skill you want to enable, and the possibilities are near endless. And Amazon made Alexa compatible with independent apps, which is where home automation comes into play. To get started, you need to set up your smart devices and obtain an Alexa-powered device if you haven’t done so already. Next, you’ll need to download the Echo app for Alexa on your phone or computer and sync the Echo Dot or Echo with the Echo app. But before you go around telling Alexa what to do with all your other smart devices, you’ll need to enable a skill. To do so, visit the Alexa app and search for each device’s skills. Once you’ve found a skill, hit the “enable” button, and voila! You might need to pair Alexa with your smart equipment, which you’ll do by saying (to Alexa), “Pair devices,” and you should be good to go. Note: In addition to Alexa’s at-home command capabilities, you can control Alexa (and therefore your smart devices) remotely from your phone. That means you can double-check to ensure you locked the door, turn on lights to give the appearance that you’re home, or control the temperature when you’re on vacation. And while you might think these capabilities are pointless if you have a home security system, it’s better to protect your home from all angles and be extra safe than extra sorry. 2. Group skills under one command. To group skills under one command, go to Alexa’s smart home section in the app. Touch the “Groups” button, and then “Create Groups.” Then, choose or type in the name of the group, and select the devices you want to include for that group. You can even go so far as to create a grouping of skills to help you get out the door faster on a workday morning. 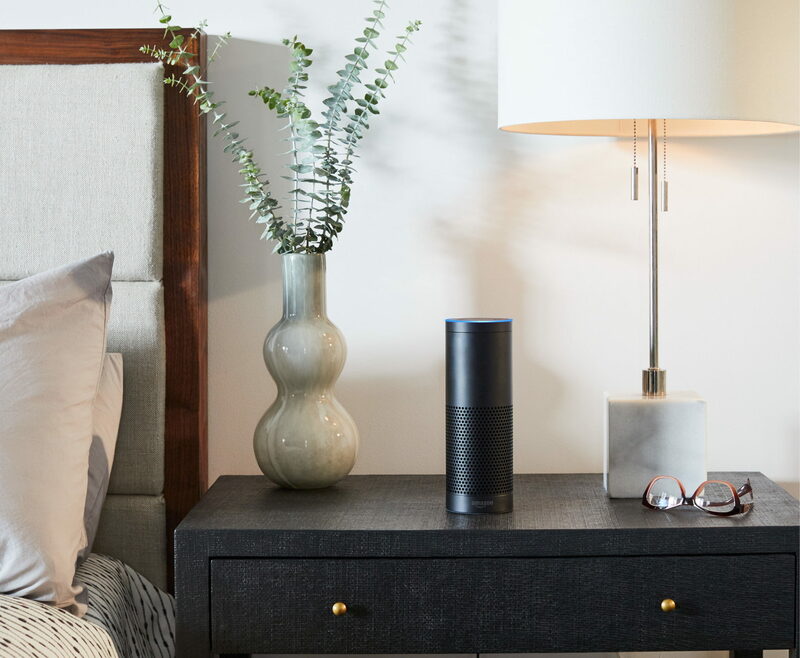 You can program Alexa to turn on the kitchen lights and coffee pot when you say “Good Morning, Alexa” or “Turn on my Morning Routine, Alexa.” The possibilities are endless—it’s just a matter of determining what you need from your smart home hub. If you don’t particularly care for the name “Alexa,” or if you have an Alex or Alexis at home (and it’s confusing your Echo), you can change the Echo wake word. You can use Alexa as a quizmaster to test your brain power and improve your catalog of trivia knowledge. Here are some skills to look for if you’re warming up for your next Trivial Pursuit game night. Alexa is full of skills that can entertain folks of every age. From pop culture trivia to joke-telling skills, Alexa has something up her sleeve to delight young and old—check out our faves below. However you decide to streamline your home automation devices, know that you can trust Alexa to keep your lights, plugs, locks, and thermostats working in harmony with each other and with your lifestyle. And you can do so without having to be in the same place as your Alexa device: you can control those smart products remotely via your phone, too, or from the next room over. Plus, you can add extra laughs (or smarts) to family time with Alexa’s more lighthearted side. But however you choose to use Alexa, don’t forget to say please and thank you!